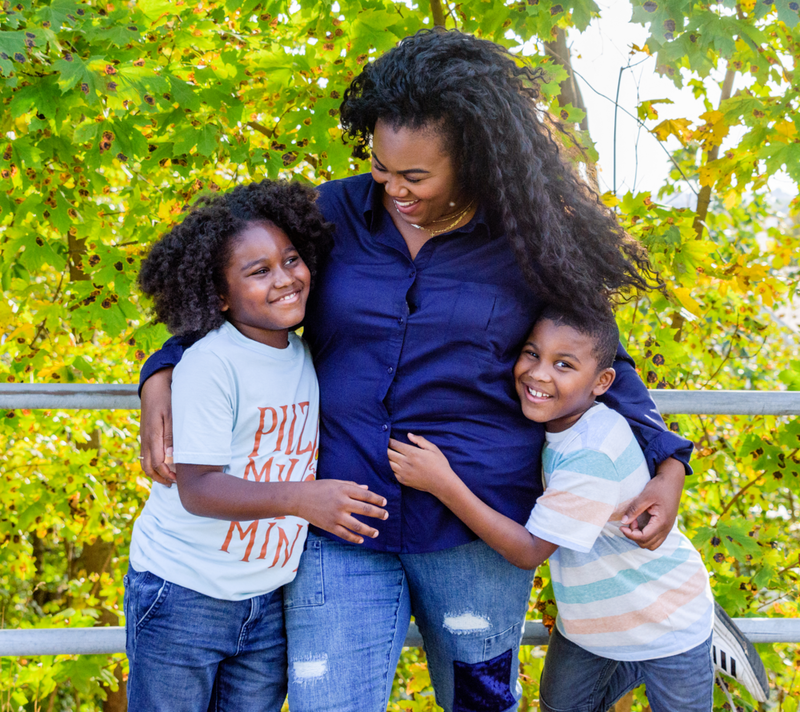 This month’s spotlight is on Parenting Journey, an organization that recognizes that systemic stressors such as poverty, substance use, trauma, domestic violence, and immigration impact the mental wellness and the care provided to children, on top of the everyday stressors of parenting. Parenting Journey provides the space and resources to help parents realize and develop solutions, and they support policies that improve financial opportunity for families, keep families together, and ensure safe and healthy communities for all. The responses below are written from the voice of Parenting Journey staffer Erica Brunner. What is the story behind Parenting Journey’s work? Parenting Journey was founded by Anne Peretz 35 years ago and started as a mobile clinic. Anne and her team would drive directly to the public housing communities of Cambridge to provide out-patient mental health services. In 1983, Parenting Journey established a location in the Davis Square neighborhood of Somerville, where it offered services as a licensed medical clinic with family support services. While working so closely with local families, the organization gained insight into the true needs of families and identified the necessity for improved parenting skills as an issue in the local community and beyond. Parenting Journey began to develop the curricula for a strengths-based parenting program that launched in 1996. The first program, Parenting Journey I, was so well received and recognized by state and local agencies and parent participants that it launched Parenting Journey II in 2000. Today Parenting Journey offers five free programs in total, including Sober Parenting Journey, Parenting in America and Parenting Journey for Fathers. We are proud to offer our programs in English, Haitian-Creole, Portuguese and Spanish. Parenting Journey also offers immersive five-day facilitator trainings for professionals interested in implementing Parenting Journey programs at their social service agency. Now, headquartered in the Union Square neighborhood of Somerville, Parenting Journey has evolved as a national nonprofit organization that is committed to providing parental support and resources for families. Recently, Imari Paris Jeffries, a veteran in the local nonprofit and social justice community, has taken the helm as executive director. In this role, he is amplifying the organization’s advocacy work. Parenting Journey partners with parents to break down transgenerational barriers by advocating for equitable family policy and providing programs that foster more resilient families. When parents are strong, confident and healthy, their children and communities thrive. What are the core community activities of Parenting Journey? In addition to the programs described above, this year Parenting Journey will kick off the first event that will be its annual fundraiser on June 20, 2018. This summer’s fundraiser will honor family champions in the community to raise critical funds and awareness for the organization. How has Parenting Journey made an impact? Parenting Journey is evidence-based. In collaboration with Institute for Community Health and Head Start Children’s Services, Parenting Journey recently conducted an evaluation study. Research shows that parents who participate in Parenting Journey improve parental skills, which are known to promote family well-being and to reduce the incidence of child abuse and neglect. The most impactful conclusion from Parenting Journey is how the parents view themselves and their community after participating in one of the 12-week programs. Parenting Journey improves parenting strengths and decreases risk factors. Parents who participated in the Parenting Journey programs significantly decreased their stress levels. Participants in the Parenting Journey group started with a very high level of stress (71st percentile), which decreased significantly (57th percentile). Parents also showed significant improvements utilizing their social networks and community, goal setting, self-care and paying attention to their emotions. Since 2007, over 52,000 parents have participated in Parenting Journey program, positively impacting more than 131,000 children. Parenting Journey programs have been replicated at nearly 500 locations across the country. What’s an example of how Parenting Journey has made a difference? Mark Contrado Jr. struggled with substance use starting as a young teenager through his early 20s. After his son was born, and then hospitalized for two and a half months, the State reduced visitation rights of both parents. Mark was placed in transitional care and ended up homeless. Determined to get his son back, Mark started taking steps to turn his life around. He was recommended by the Department of Children and Families to enroll in a parenting program and joined Parenting Journey for Fathers. Mark was inspired by the other fathers in his group and found a great support system and sense of community. He enjoyed the program so much that, after, he enrolled in Parenting Journey II. Mark is appreciative of Parenting Journey for instilling in him a sense of perseverance and allowing him to be introspective and set goals. He was able to achieve many of his goals, including having his own home, a full time job and gaining full custody of his son. There are many inspirational parent stories like Mark’s in which Parenting Journey has offered the support needed to help them realize the parent they want to be. What does Parenting Journey need most right now? 1. Donations to continue to offer parents and caregivers renowned programs and resources to better support their families. 2. Support from policy makers and advocates to implement family-centric policies that set families up for success. 3. Raise awareness for the work of the organization in order to reach more families, facilitators and policy makers, to ultimately impact social change. Thank you, Parenting Journey, for all you are doing for families in Boston and beyond! If you want to support Parenting Journey, an easy way would be to share this feature. And another great way would be to drop them a donation! Also, be sure to check out our spotlight on MEDIAGIRLS.